The wait is finally over to witness the grand spectacle India could ever witness on the silver screen, SS Rajamouli’s ambitious war epic, Baahubali. This morning, Baahubali The Beginning has finally hit the screens. The expectations and hype surrounding the film is unprecedented and this catapulted the film to register staggering box-office collections across the globe. As the fans and film lovers entered the cinemas expecting fireworks on screen, the master director Rajamouli did manage to spellbind them with his sheer brilliance in visualization. 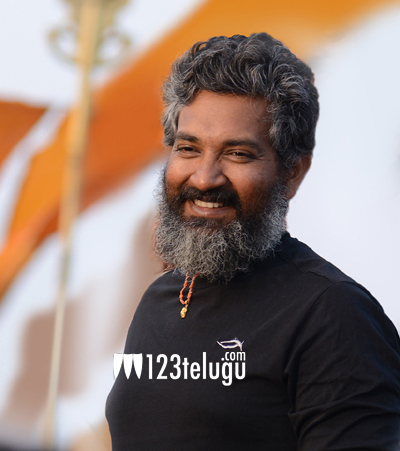 Icing on the cake is Rajamouli’s rare appearance on screen along with Prabhas, which was received with a roaring response by the pleasantly surprised fans. The film’s ensemble cast and world-class technical finesse took the film and the overall viewing experience to the next level. Baahubali The Beginning undoubtedly paved a solid path for the second part,which will hit the screens next year.